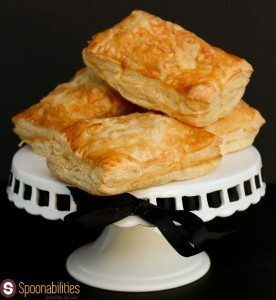 This traditional French Croque Monsieur sandwich had a transformation by using flaky puff pastry filled with creamy Béchamel which balances the saltiness of the air cured Italian prosciutto, and the creaminess of the Gruyere cheese. We enhanced this recipe with our Pumpkin Honey Mustard which adds and sweet and tanginess to this dish. 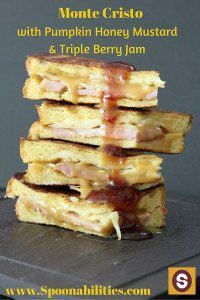 Try our Monte Cristo Sandwich with Pumpkin Honey Mustard drizzled with some Triple Berry Jam for any combination of breakfast, brunch, lunch, or dessert. This was a lovely surprise and very easy recipe! 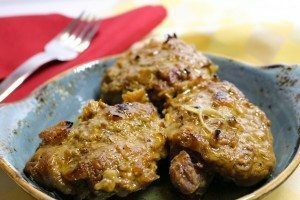 Baked Chicken Thighs with Pumpkin Honey Mustard is an easy 1-2-3 recipe. Simply cover chicken thighs in a mixture of lemon juice, olive oil, thyme, shallots and the Pumpkin Honey Mustard, then bake. Then eat.